Most dash cams face forward, but of course, people can crash into your car from any direction. 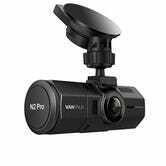 So if you want a dash cam that can see all the way around your vehicle, Vantrue N2 Pro kind of gives you 360 coverage in one compact package. The specs here are pretty much what you’d expect from a consumer-level dash cam, so I won’t spout them all off here. The real draw of the N2 Pro (and the reason it commands a relatively premium $200 price tag) is the fact that it’s actually two cameras in one. And if the sun is directly behind you, forget about seeing anything throguh your rear windshield. 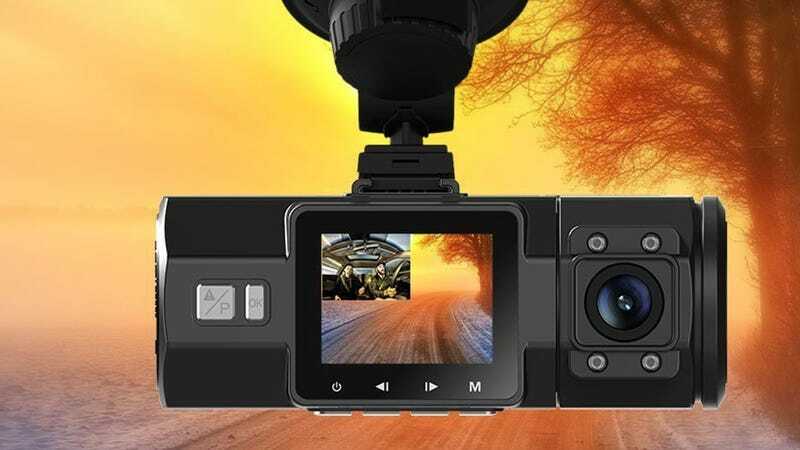 So in the event that someone rear-ends you, could you get useful footage from the N2 Pro? Maybe, it’s a roll of the dice. In any event, I wouldn’t expect to get a readable license plate from the rear-facing camera, but in certain situations, it could maybe provide more context about an accident to help your case with the insurance companies or authorities. If you just treat the rear camera as a bonus though, the main front-facing camera is solid. Here’s some sample footage, complete with bonus Deadspin Deadcast.